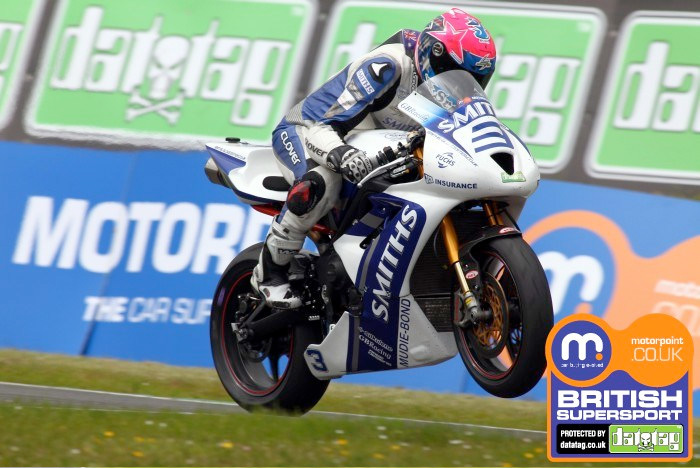 Billy McConnell took his second race win of the Motorpoint British Supersport Championship protected by Datatag season after a dog fight with team-mate and Sprint race winner Glen Richards as the Smiths (Gloucester) Racing Triumphs locked out the top two on the podium. Richards had taken the lead on the opening lap from Christian Iddon and McConnell with Sam Warren on the Seton Tuning Yamaha chasing hard before the Nissan GTR Safety Car was deployed. Warren was aiming to move up the order but he high-sided spectacularly out of the race at Butchers, he was able to walk away but his hopes of closing the advantage in the standings were over. 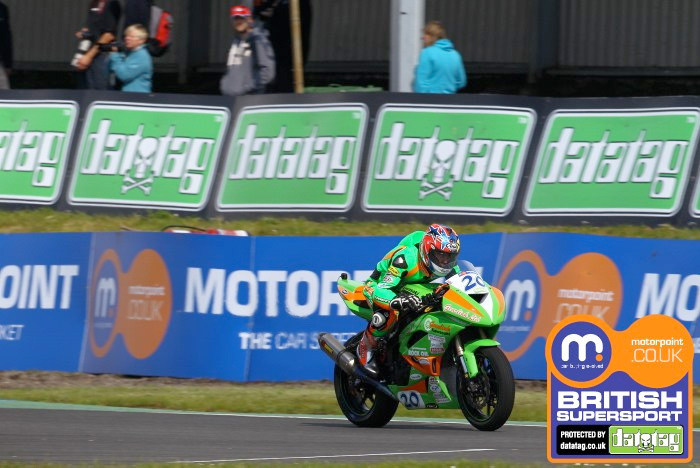 McConnell then took the lead at the Hairpin on the eleventh lap with Richards instantly snatching the position back and the pair continues to duel for the win before McConnell took the lead again on the 20th lap to then defend hard to hold off his team-mate. 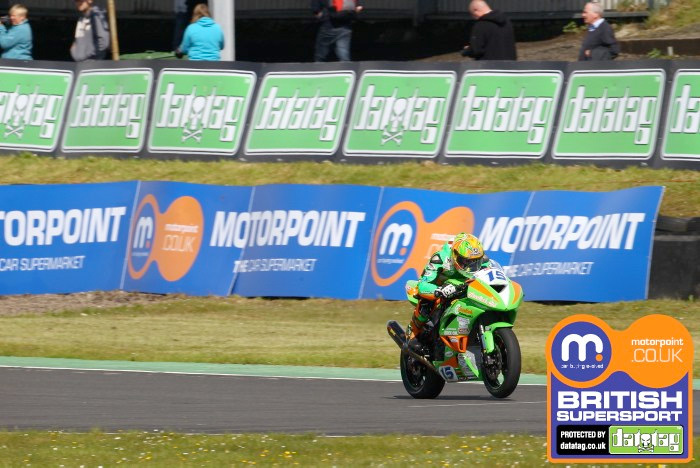 Championship leader Jack Kennedy finished third to maintain his title lead with Ben Wilson claiming fifth place for Gearlink Kawasaki. 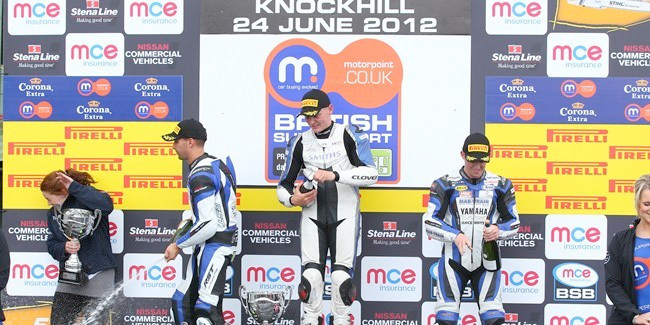 McConnell: "I really went for it and it is a big credit to the team to put me up front. We made a change to give me a bit more corner speed so I was on it from the word go. I'm really happy for the team to get them the win, and for myself to have a win. Now I've got to keep winning races to pull back points on Jack Kennedy." Richards added: "It is very important to finish races ahead of Jack Kennedy so I was not getting too carried away with Billy coming through as I knew that he wanted to have the race win. I could have had a god for the lead on the last lap but it could easily have ended in disaster. The Smith team's boys are all up front, running consistently every session and we are looking good." 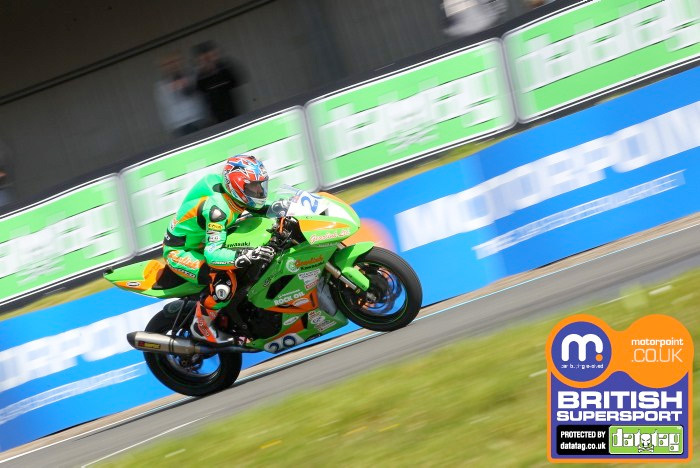 The triple-header next round of the 2012 MCE Insurance British Superbike Championship takes place at Oulton Park on 6/7/8 July. Qualifying day (Saturday) / Race day (Sunday). 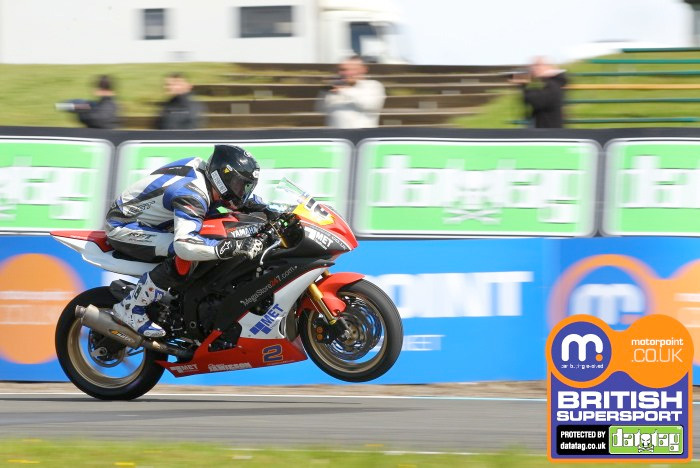 For more information and to book visit www.oultonpark.co.uk.